It’s the Differences That Make the Difference! Keep up to date with Proteus Leadership news, blogs and articles. Subscribe today and we will keep you up to date with our latest leadership initiatives. Relationships flourish or cease based on the level of understanding and acceptance the parties have of each other. So, we have to ask ourselves, is our understanding of people based on what we like or dislike about them, or do we look deeper, at their motivation and intent, and truly try to see their point of view, because if we do, we may see a very different picture? The very popular 80/20 rule tells us that most people are good and simply want to get on with others around them, but there are approximately 20% of people who will behave in ways that seem aloof, entitled and indifferent. However, even then, the experts tell us that most of these people, if given the right environment and understanding, will also come on board. In fact, there is only a very small percentage of people who simply don’t want to try. So, why do we spend so much time on the negative few, when we have so many others just wanting to be understood and wanting to feel accepted. Let’s make sure that we don’t jump to conclusions too quickly and that we take the time to recognise these differences in people and if necessary, change our approach to get a better result. Judgement and criticism are not attractive qualities in a person, but they are easily formed and can embed themselves very deeply into our daily lives and behaviours. Don’t let criticism be your resting place when dealing with people, let it be acceptance. A basic need that humans have is to be understood, accepted and to be part of a tribe. A diverse organisation, that embraces different ideas and opinions, will also be an innovative and productive organisation. Remember - It’s the acceptance of the differences that make the difference! 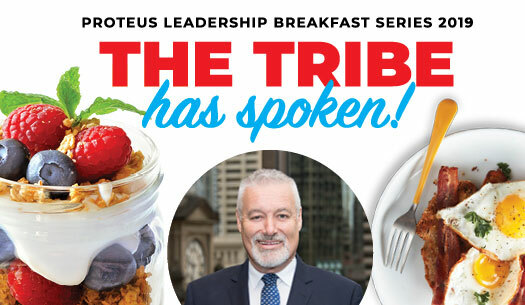 I would love for you and your team to join myself and the Proteus team in May for the national Breakfast series scheduled for Adelaide, Perth, Melbourne, Sydney and Brisbane. I am speaking on the topic: The Tribe Has Spoken – taking a look at what is happening in workplaces and leadership roles right now, and how we will need to look tomorrow. This is a very powerful topic that every Leader should hear. Don’t miss out - register your team now. We are thrilled to be able to announce the launch of our new in-house program – ‘The Complete Leader.’ This program has taken four essential skills that are required to be successful in leadership and over two days, participants will not only learn theory but are given the opportunity to practice the skills and embed them into their lives. Check out our website now for further information on this great program or contact Proteus on 1300 219 903 to book your in-house program. 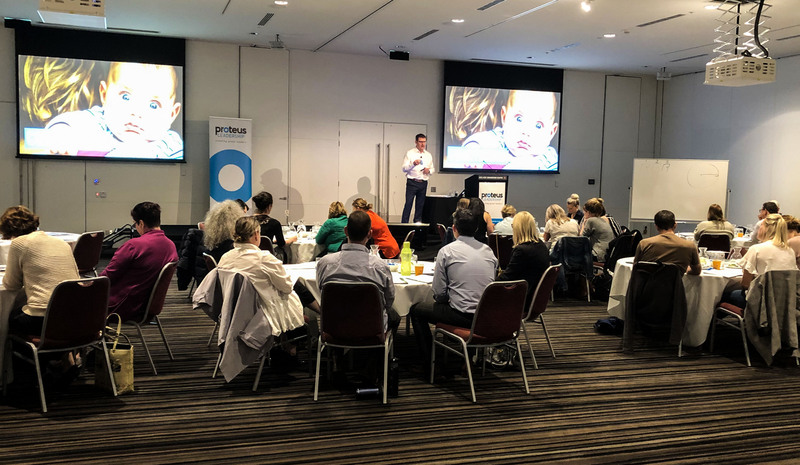 Richard Dore kicks off the Positive Culture Day in 2019 at the Adelaide Convention Centre last week. Approximately 40 participants from a diverse range of industries participated in this exciting event. Check out our website for the next scheduled event in your area. Every week we post inspirational articles, events and information on LinkedIn and we would love you to be a part of that. 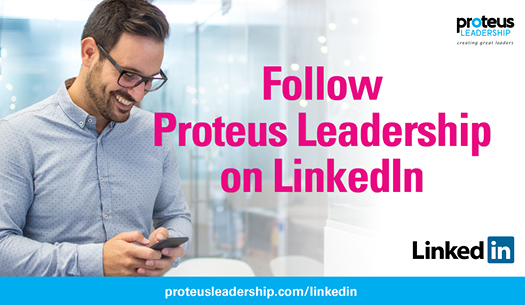 So, if you would like to follow Proteus Leadership on LinkedIn and keep informed, then click on the button below. 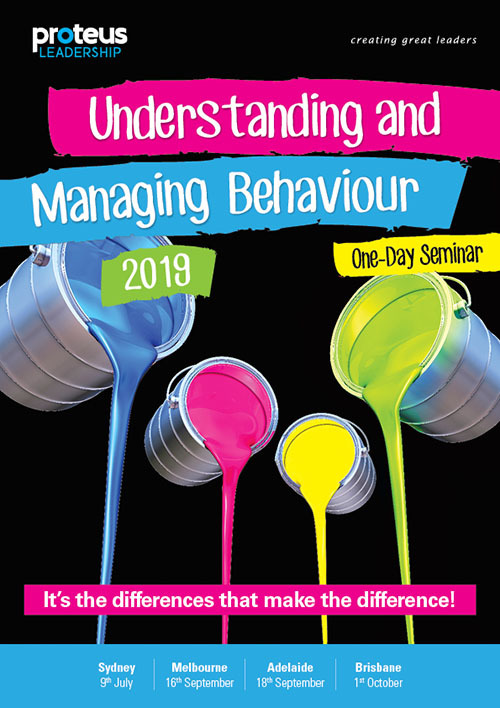 This one-day interactive seminar will give you answers to why people behave the way they do and will equip you with strategies to initiate better communication and better relationships. This seminar is a must for anyone wanting to build better relationships both in the workplace and in life.